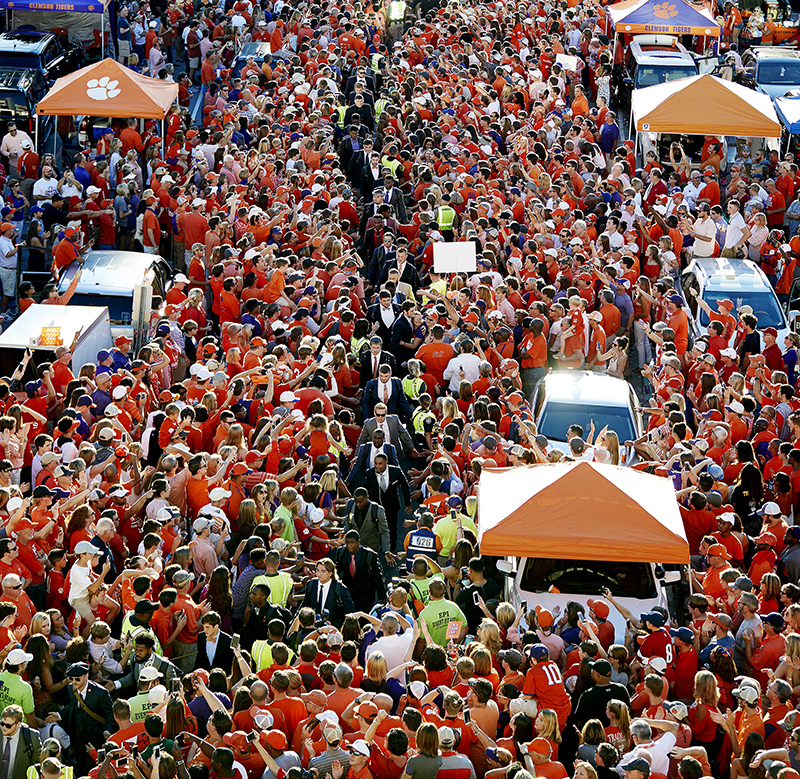 One of many Tiger traditions is the Tiger Walk, where the team walks over 100 yards through thousands of Clemson fans to Memorial Stadium. 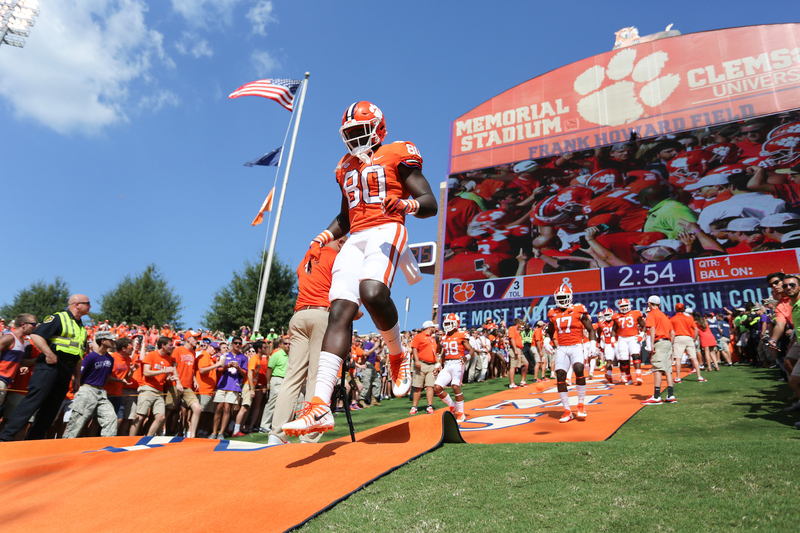 Prior to its celebrated entrance to Memorial Stadium, the Clemson team boards buses in the West Endzone outside its home locker room and takes a one minute ride around the stadium perimeter. It is a ride that stirs the emotions of every Clemson Tiger. The Poker Chip tradition was started by Coach Dabo Swinney in 2008. The Poker Chip is a metaphor for every player giving 110% and an “All In” effort. Prior to exiting the locker room before kickoff, each player places his chips in the “All In” Bucket. Each player receives the corresponding number of chips to the number of games that have been played that season to represent their efforts given throughout the year. 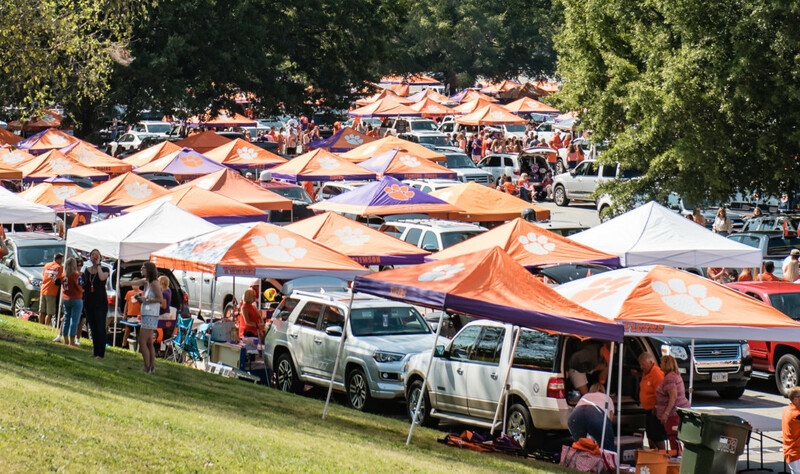 Others can brag, but for the last two seasons, Clemson has been voted the best tailgating spot in the South. The cadence count dates back to Clemson’s military school days. 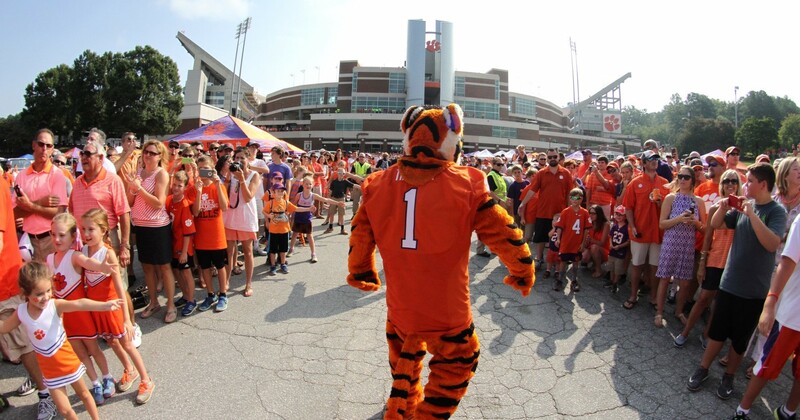 Show your pride and get any Tiger crowd riled up by starting the cheer: C-L-E-M in cadence count! Tigers far and near will follow you with the roar: 1-2-3-4, 1-2-3-4, C-L-E-M-S-O-N T-I-G-E-R-S FIGHT TIGERS, FIGHT TIGERS, FIGHT FIGHT FIGHT! 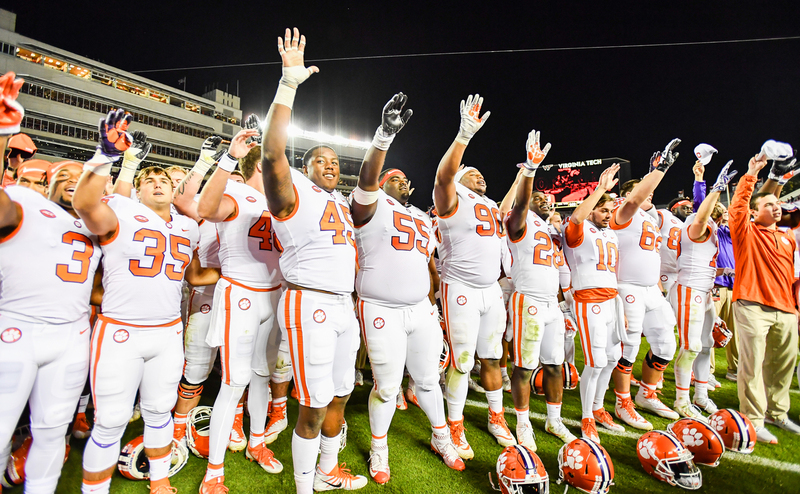 At the end of every home game, Clemson fans rush the field to join the team at The Paw to sing the Alma Mater. After pre-game warm-ups, the entire team and coaching staff line up mid-field, arms linked together. 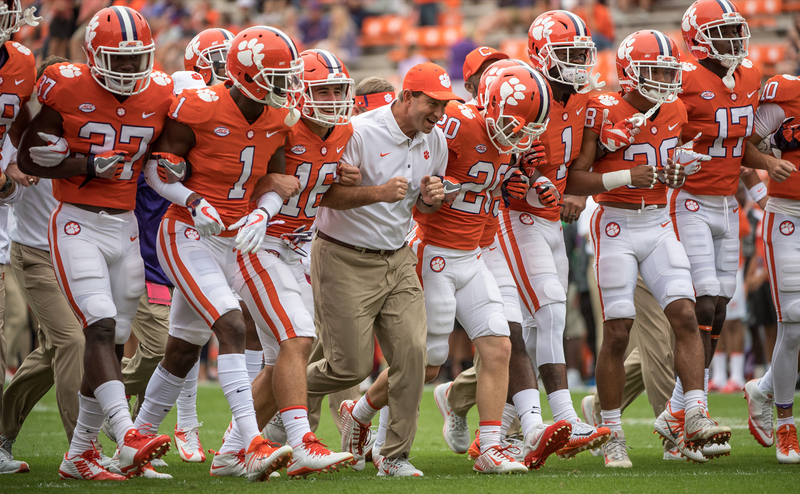 Coach Swinney, in the middle of the pack, walks alongside players and coaches toward the west end zone. This great display of unity always brings every fan to their feet. Clemson College was founded in 1889 as a military college. Today, Clemson University has sent more than 10,000 men and women into the armed forces, and it still upholds rich military traditions.